Registration is now open for the National Mastitis Council (NMC) 58th Annual Meeting, scheduled for Jan. 29-Feb. 1, 2019, at the Marriott Savannah Riverfront, Savannah, Ga. NMC’s annual meeting is designed for all individuals interested in mastitis control, quality milk production and udder health. Attendees come from around the world and include veterinarians, dairy producers, researchers, extension specialists, industry suppliers, dairy processor field representatives, regulatory officials, teachers and students. The meeting features world-renowned presenters who will address a variety of milk quality production principles and offer hands-on strategies to improve udder health. 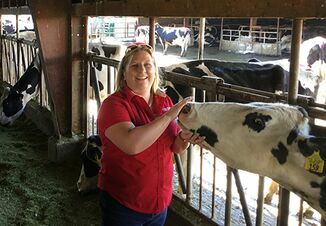 “The 2019 NMC Annual Meeting has something of interest for anyone concerned about milk quality,” said Jason Lombard, NMC 1st vice president and program chair, and National Animal Health Monitoring System dairy specialist and veterinary epidemiologist. 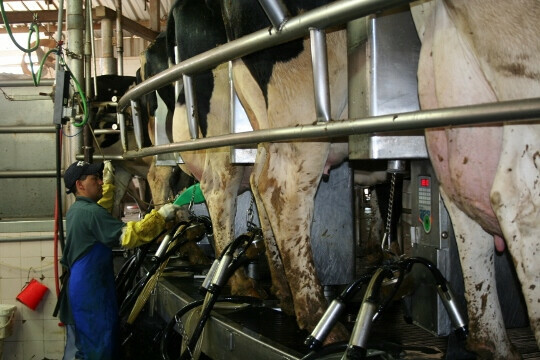 One session focuses on four current “Hot Topics” in the dairy industry: business continuity during disease outbreaks, foodborne illnesses, antimicrobial use and the mammary gland microbiome. The next session highlights the importance of udder health in heifers and the Friday morning session will reinforce the importance of milk quality. 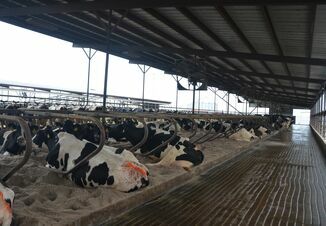 The 2019 meeting kicks off with an optional dairy farm tour, which features innovative dairies with that place a high priority on quality milk production. Tour stops include Hart Agriculture, Green Meadows and Harmony Grove. On the second day – Jan. 30 – NMC will offer 15 short courses, with topics including on-farm culture systems, antimicrobial use, teat health, milk bacteriology, mastitis and pain, mastitis control, workplace culture and mastitis therapy. Plus, three short courses feature The Teaching Parlor, a one-of-a-kind portable training device designed to simulate a real milking parlor and is fully capable of a complete NMC milking system airflow and clean-in-place analysis. Due to limited enrollment, the short courses typically fill up before the pre-registration deadline. Thus, those interested in short courses are encouraged to register early. Back by popular demand is the Second Annual Udderly Ridiculous 5K Fun Run/Walk. This fund-raising event supports the NMC Scholars and costs just $25. The registration fee includes a limited-edition T-shirt. To view the meeting agenda and to register, go to: http://meeting.nmconline.org. The early registration deadline is Jan. 6, 2019. Registration fees increase $35 per attendee starting Jan. 7, 2019. Pre-registrations are accepted through Jan. 19, 2018. After that date, individuals must register at the meeting. Other highlights of the upcoming meeting include a silent auction, which supports professional development efforts, and recognition of the National Dairy Quality Award winners, NMC Award of Excellence for Mastitis Prevention and Control recipient, and NMC Scholars.